We all know that wine and cheese pair beautifully together, but who knew how perfect beer and cheese pair together? Think: Bread and Cheese. Don’t tell our winery friends, but we have actually concluded that beer and cheese may be a better match than wine and cheese. 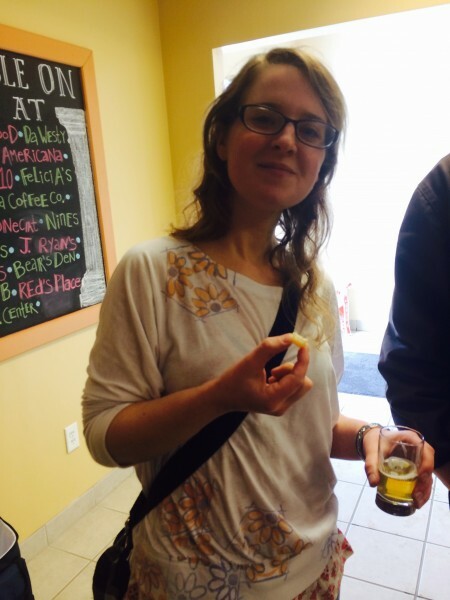 Last week was Beer and Cheese Pairing Week for Lively Run Dairy! 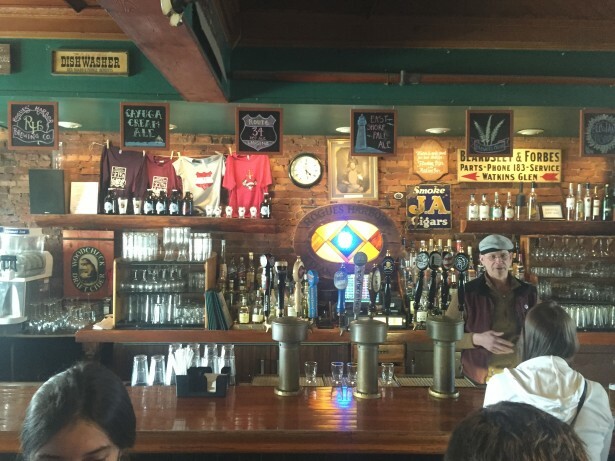 The Lively Run team experienced a day full of delicious beer tastings and cheese pairings at Ithaca Beer Co., Bacchus Brewing Company, Stout Hearted Brewing at Rogues Harbor Inn, and Bandwagon Brew Pub. 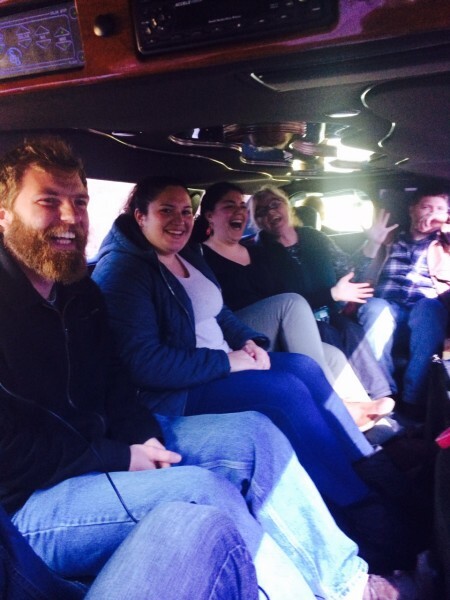 We gathered into a limousine, courtesy of Eurosedans with driver Bonner, and spent a Sunday afternoon creating our own mini beer trail. In addition to tasting various delicious beers and pairing our cheese with their bubbly beverages, we were able to talk with some knowledgeable brewers about their creations and establishments. 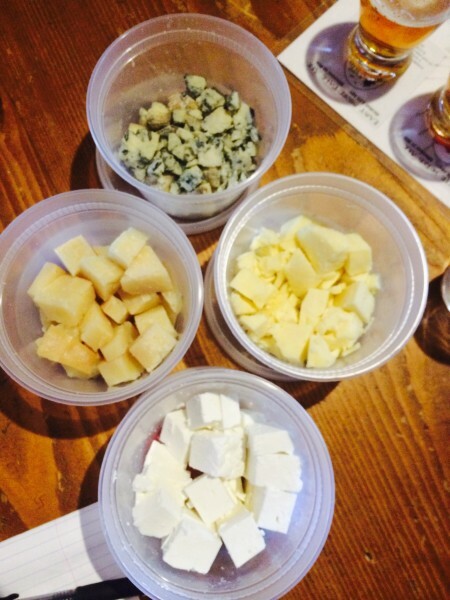 In addition to our beer trail adventure, on March 27 we ran a beer and cheese pairing event with Hopshire Farms and Brewery. This event was open to the public and sold out quickly! At the event, individuals could taste, drink and learn about Lively Run cheese and Hopshire’s beers with Hopshire brewer, Randy Lacey, and Lively Run cheesemaker, Pete Messmer. 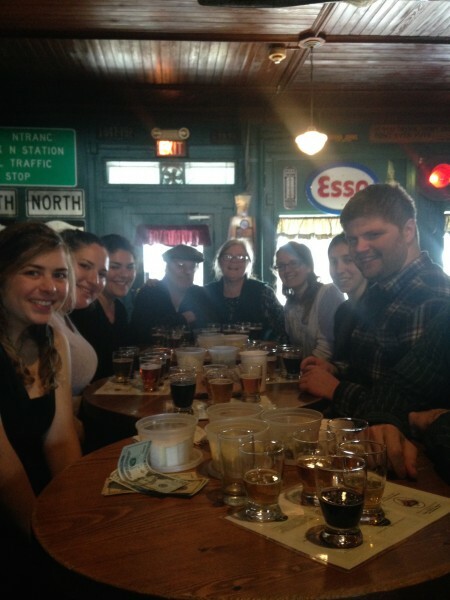 After a long and delicious week of pairing awesome beers with delicious cheese, we have a lot to report on. 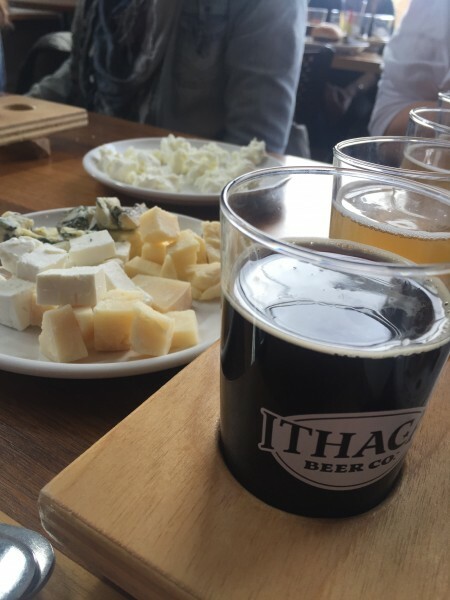 We encourage you to grab some Lively Run cheese, explore some Finger Lakes breweries, and experiment with beer and cheese pairings yourself. Below are a list of our favorite pairings. This is the most obvious local choice for a beer and cheese pairing. Like jam on a cheese board, the Apricot Wheat Beer gives the sweetness that pairs perfectly with the creaminess of our chèvre. 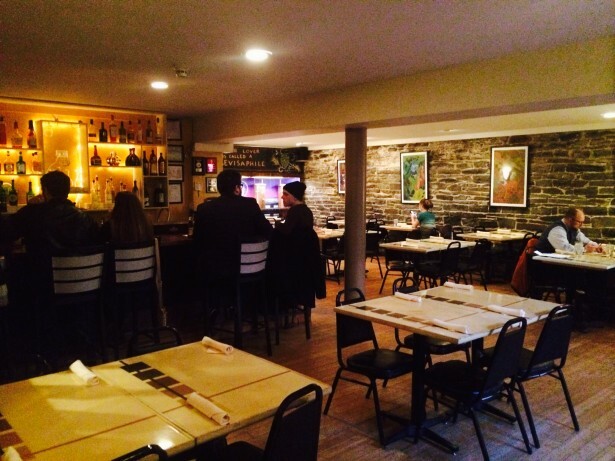 We highly recommend this to everyone, especially people new to beer and cheese tastings. 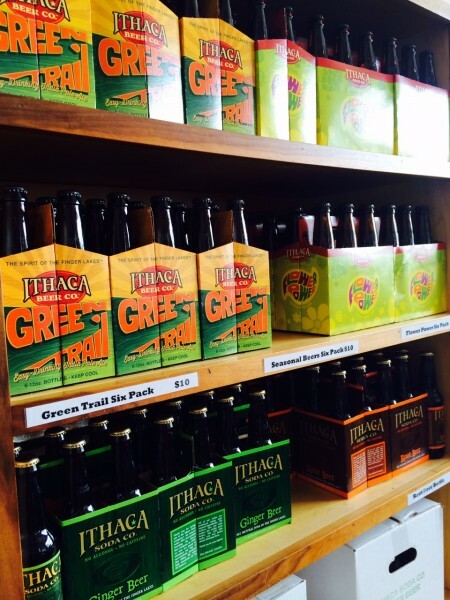 The Ithaca Beer Co. Apricot Wheat can be purchased at their BrewPub, on tap at a local bar, or in bottles at many grocery stores in Ithaca and beyond. Our chèvre is a creamy, tangy, and slightly acidic cheese, which complements the sweet notes of honey and malt in the BeeHave beer. The biscuity flavor of the malt make it seem as though you are eating a cracker with honey and chèvre. 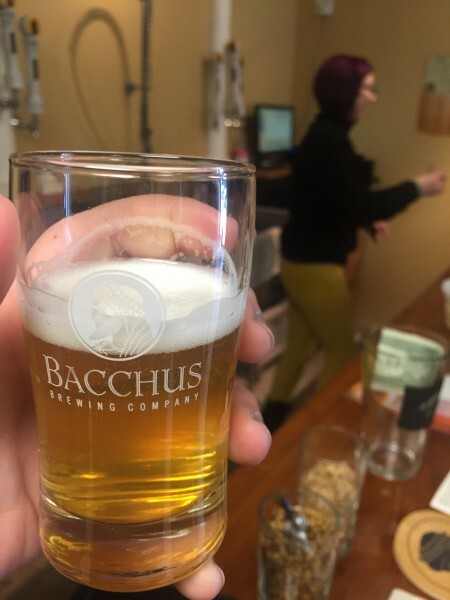 This delightful Bacchus beer is a delicious and hoppy pale ale with a unique umami flavor that complements our Finger Lakes Gold hard goat cheese. The bitterness of this IPA plays well with the meaty, savory taste of our cheese. This delicious pairing highlights both beer and cheese tremendously well and was excellent to taste! Rauchbier is the German word for Smoked Beer. This Bandwagon smoked beer is a great option for our Finger Lakes Gold cheese. Since the cheese has a creamy texture with a light, nutty flavor, it allows for a perfect pairing with the flavorful smokiness of the Rauchbier at Bandwagon. The slight sweetness of the beer bounces off of the nutty, caramel and umami flavors of the aged Finger Lakes Gold. The cheese is able to stand up to the “booziness” of the beer, while the bready flavors of the beer balance against the crumbly texture of the cheese. Our feta has a refreshing salty flavor that helps to wash down the bitter hops of the Cascadilla beer. We enjoyed this combination and were a bit surprised, since a lot of other hoppy beers tend to pair better with a more tangy or nutty cheese, like Finger Lakes Gold or our Cayuga Blue. We recommend it on a warm day, as this combination is almost as refreshing as a cold lemonade. 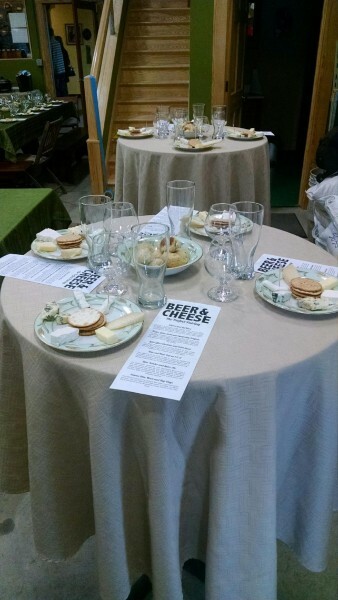 One of the more surprising pairings we made was between Stout Hearted’s Dark Devotion and our goat’s milk feta cheese. The caramelized burnt bitterness flavor of this dark beer complements our salty feta beautifully. This natural combination is a delightful pairing that all of our Lively Run team enjoyed tremendously. Typically, a stout beer pairs with a chèvre because the cheese’s creamy texture pairs well with the dark, thick stout. However, the Bandwagon Stout stood out as an excellent pairing with our feta. This delightful pairing reminded us of the delicious combination of beer and pretzels or peanuts for avid beer drinkers. The salty flavors of these delicious snacks bring out the savoriness of the beer, just as the Lively Run Feta does. The slightly sharp flavor and creamy texture of this young cheddar are rounded out by the lovely toasted malt flavors and dry, hoppy finish of this Irish Stout. What could be more traditional than cheddar and an Irish Stout? Our creamy, mild cheddar pairs well with Bacchus’ famous Saison beer. The tasty tartiness of the beer pairs well with the sweetness of the cheddar to excite the taste buds. This pairing, while slightly surprising, is delicious and must be tried! We found a nice balance in this pairing. IPAs tend to be more hoppy and bitter than other beers, which creates a stark contrast and successful balance with our Blue Yonder cheese, that has a rich, complex flavor. 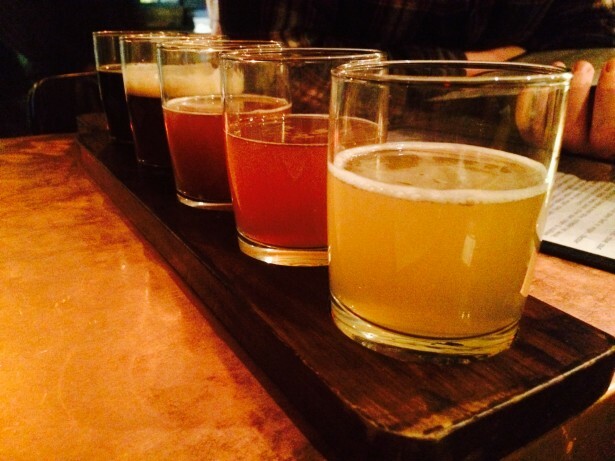 The Green Trail is a great option when picking a beer on tap, especially when paired with our Blue Yonder cheese. This pairing was arguably the most surprising, yet the most delicious pairing of the Lively Run Beer Trail. The malty and ‘biscuity’ flavor of Stout Hearted’s red ale is an easy beer to drink and plays wonderfully off our Blue Yonder. The subtle, yet complex flavors of our creamy cow’s milk blue cheese compliments the tasty flavors of this red ale very well. We all enjoyed sampling the Weizenboch, a strong German style wheat beer. 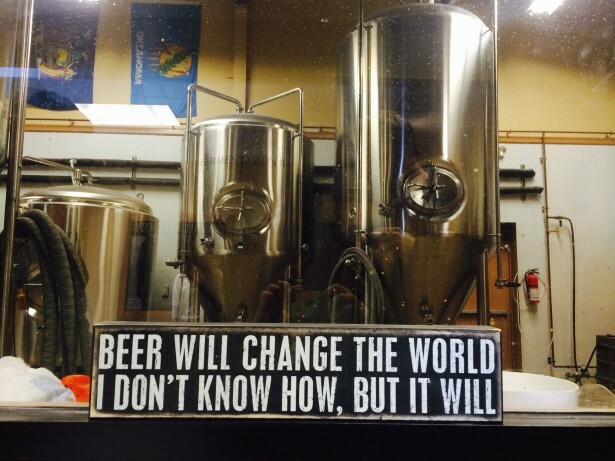 It is dark with a high malty flavor. Bandwagon makes a great Weizenboch beer and we found it paired beautifully with our Blue Yonder. The rich flavors of our blue cheese were able to stand up to the complex, slightly sweet flavors of this beer.